USB 3.0 - Built-in USB 3.0 port for printer sharing, 3G/4G dongle support and 10X-faster data-transfer speeds than USB 2.0 for storage devices. 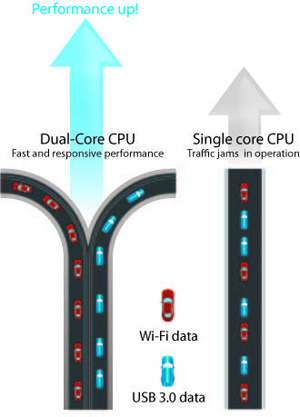 Exclusive ultra-sensitive receivers give improved mid- and long-range Wi-Fi signal, with high-powered amplifiers and AiRadar beamforming to deliver unrivaled coverage that's fast, reliable and stable for all your connected devices, from PCs and mobile devices to game consoles and beyond. USB 3.0 features data transfers up ten times faster than USB 2.0. Two USB ports make the RT-AC66U B1 perfect for file, multimedia, and 3G/4G sharing, while ASUS AiDisk offers remote access and quick content streaming. Where other routers have their USB ports sandwiched next to one another, both RT-AC66U B1 USB ports are evenly spaced for easy access to either at all times. AiProtection, incorporating state-of-the-art, three-pronged security from Trend Micro™, provides advanced parental controls, blocks malicious addresses and intrusions for your PC or device, and alerts you if an infected device is connected. Potential weaknesses such as password strength and operating system vulnerabilities are also monitored at all times. 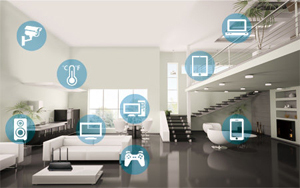 Moreover, AiProtection even protects Wi-Fi devices without an installable security program such as smart TVs, game consoles, and smart home devices, giving you peace of mind. 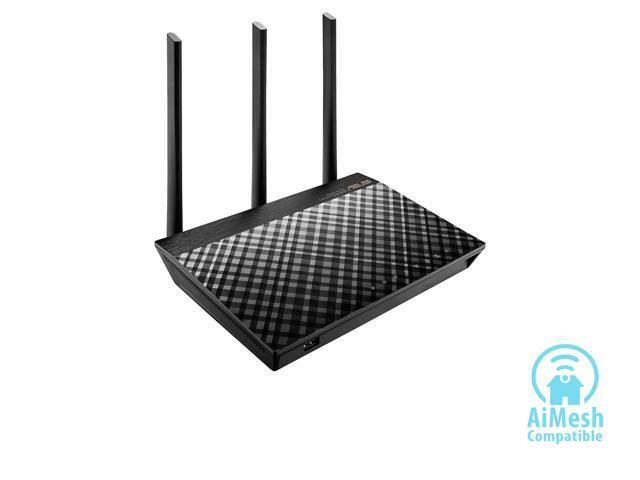 1.77" x 8.58" x 5.83"
Fast Wi-Fi Speeds - Concurrent dual-band Wi-Fi delivers smooth streaming with 2.4 GHz speeds up to 450 Mbps and 5 GHz speeds up to 1300 Mbps. 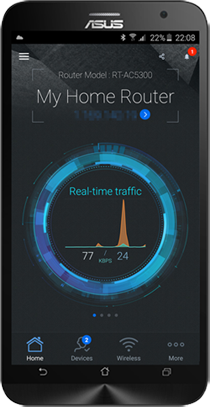 Network control via ASUS Router app - PC-free control of network settings, anytime, anywhere. Improved network safety with ASUS AiProtection - Triple-strength network security powered by Trend MicroTM. USB 3.0 - Built-in USB 3.0 port for printer sharing, 3G / 4G dongle support and 10X-faster data-transfer speeds than USB 2.0 for storage devices. I am not all that computer network literate. The included instructions were not complete, concise, user friendly or intuitive. So, I made a call to the Asus for help setting the router up. That was a waist of time. The call lasted maybe five minutes. Two to three of those minutes I was on hold. Then I was told it was my computer that was not working properly. This router was ordered to replace an Asus router that was acting up, after less than two years. I then called my ISP tech support, and he walked me through setting the router up, even though it is a brand they don't support. Imagine that. No way will I ever buy from Asus again. Other Thoughts: I cannot recommend this product to other people. The Tech support I received was useless. Pros: easy set up, does what it's meant to, very happy. Cons: American power plug, i needed to get adapter for Australian outlet. Pros: paid $200 for it when it first hit the market a few years back. added 7 db after market antennas. it's still giving me strong whole house wifi in a 2800 sq ft 3 story building. beautiful highly programmable user interface. running multiple PC's. tablets and a smart TV running Hulu and fire TV without a problem. Other Thoughts: I'd like a $100. refund now that it's being sold for $99. I have owned this for quite a few years now. My ISP just provided me with a "New" Hitron Wireless Router, and I did a bake-off". The Asus won hands down. Cons: - Range into the basement for the PS4 (Wireline Connection fixed this). Other Thoughts: I would buy this again. Pros: Easy setup. Download the app and you can easily make changes. Cons: Put this unit and the cable modem in a small closet and they do generate some heat. This has not caused problems but we did install a fan. Other Thoughts: We have had this router in use for almost 2 years and we recommend this unit. 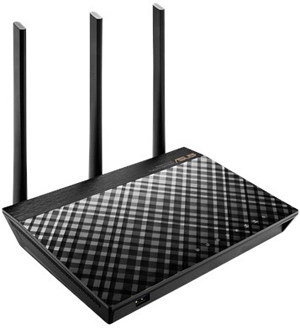 Pros: Wonderful performance with Asus stock firmware, and Merlin and dd-wrt opensouce firmware. A vast performance improvement over my RT-N66u's. For this reason I have bought 2 of these to replace my RT-N66u's. The Legendary Asus Rescue mode makes it possible to try different firmware without fear of bricking the router. Cons: Does not currently run My favorites, tomato toastman, shibby or their successor freshtomato. The naming of the router model is very confusing. Apparently HW B1 would run tomato shibby and toastman firmware for the Asus RT-AC68u, but the HW B2 is trickier by far. Slow to boot compared with my old venerable RT-N66u, but this is forgivable given the wonderful performance. Other Thoughts: Here is how I got the opensource firmware to run. (1) Merlin: I used RT-AC68U_384.6_0 dated 2018-07-25. The 5GHZ led did not light, but the 5GHZ itself was working after the 2GHZ light came on. 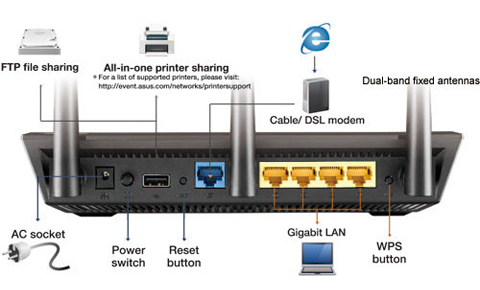 Pros: Pretty much has every setting you would need for advanced router set up. I flashed w Merlin right away. Port forwarding is a breeze. AI protection is a benefit. Over all I'm ok with it. Cons: Gui is extremely slow. Making changes to anything advanced is a 2- 6 minute reboot. CPU gets over taxed. Found the 5 ghz to be weaker than my old rtac66. Also effects network speed. Very surprised that the 66 does better. Other Thoughts: I have many devices on my network. Maybe to much for this router. I also use the asus ddns. It's slow. Still looking for optimal settings for this after six months. PS. Buy a cheap laptop cooler. Keep it cool or otherwise...reboots. We're sorry to hear about the issue you're currently experiencing with this model. Thank you for taking the time to post your honest feedback on this model. We would like to know if this model behaves the same on the stock firmware from ASUS. We would recommend installing the latest firmware from our website to see if there's any improvements. We will pass your review over to our development team for review. If you have any questions, please feel free to contact us at customerloyalty@asus.com Have an extraordinary day.